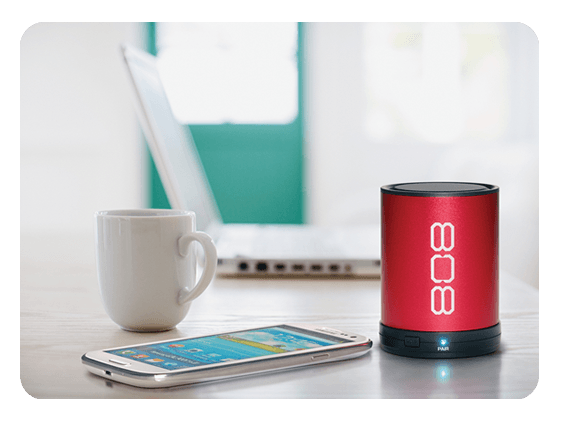 808 CANZ wireless Bluetooth® speakers provide big sound in a little package, providing the punchiest sound around via Bluetooth wireless or a Aux-in connection. 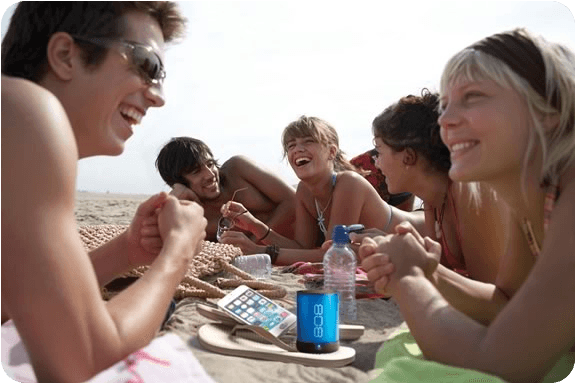 CANZ speakers feature a powerful rechargeable battery providing hours of playtime at home or wherever you go. "CANZ are a convenient option to listen to music anywhere wthout sacrificing sound quality"
I bought this to listen to music and to take places.It is very loud and the bass is dang good. The sound comes out clear even at highest volume level. I like the way it has a aluminum casing which helps protect it. When I am using it on the fourwheeler the speaker so loud it can still be heard. Love this speaker! I really didn't know what I was getting because of it being a small package and the price is not a back breaker. But the 1st time I put some music through it, well my jaw just dropped, and in a good way. For portablity, sound and it looks good too, it is simply a best buy. The best speaker. Inspite of its size, the bass is amazing. I've used it more than once as the only music source of house parties. These little speakers are Perfect for a small room! The sound quality is great! I hve hd a cab speaker for years and it’s wvweyones favorite. I ordered more for gifts this year ! This speaker is amazing!!! from the price to the sound quality it is very good. I have had it for a year now. And I think it is the best, it has great sound for it being so small. The battery last for a long time too. And you can get I warranty with it to. And I never regret buying it. 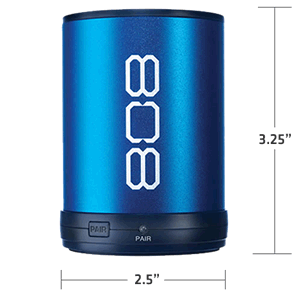 after searching for a high quality durable wireless speaker, i found canZ 808. metal case good woofer excursion i love subs and this thing moves like it should with no distortion. i zip tied it into my bottle holder and you can feel it in the handlebars. had to pick up a 808 thump for my wife too. Great sound from a very mobile, compact unit! Looks super cool too. Feels heavy, sturdy and well built. Very happy with my purchase! Absolutely THE BEST mimi Bluetooth speaker on the market for the money! So I have had my 808 Canz for about 4 years now and this thing is still going hard. For the price I am convinced that you can't find a better little Bluetooth speaker. Now I want a bigger one. This tiny speaker delivers huge sound for a small price! I have owned 808 products before and was in no way surprised. You guys have a customer for life! !